This resource from Defence Dynamics helps students to understand the range of gases found in the atmosphere and also look at some of the causes and effects of global warming. 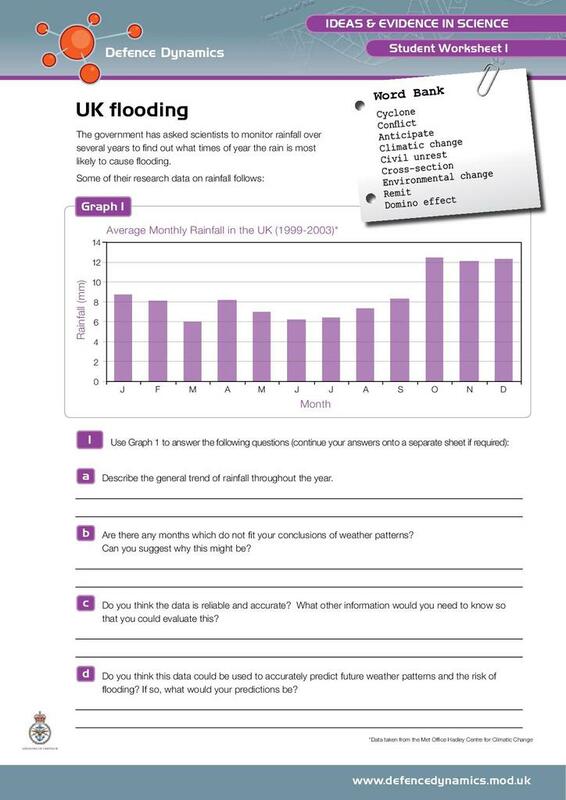 [b]Gases in the atmosphere[/b] includes a quiz on the process and causes of climate change; and activities on how the Earth's atmosphere has developed and how the balance of gases in the atmosphere is being upset and causing climate change. 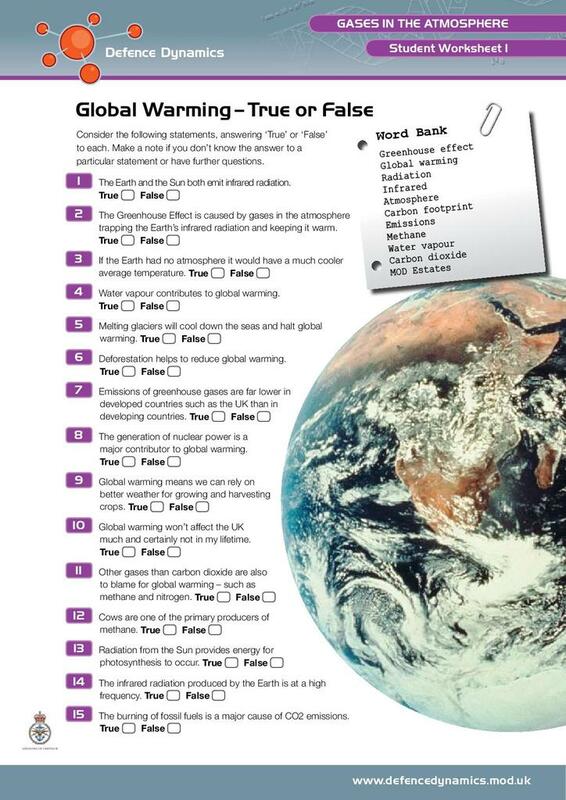 Another activity looks at how ideas in science shape our view of climate change. It looks at rainfall and flooding in the UK as well as sea rise on low-lying islands in other areas of the world. Students are asked to investigate trends and make predictions. The video [b]UK floods 2007[/b] shows a short clip of a news programme of floods in Gloucestershire and the army's reaction. 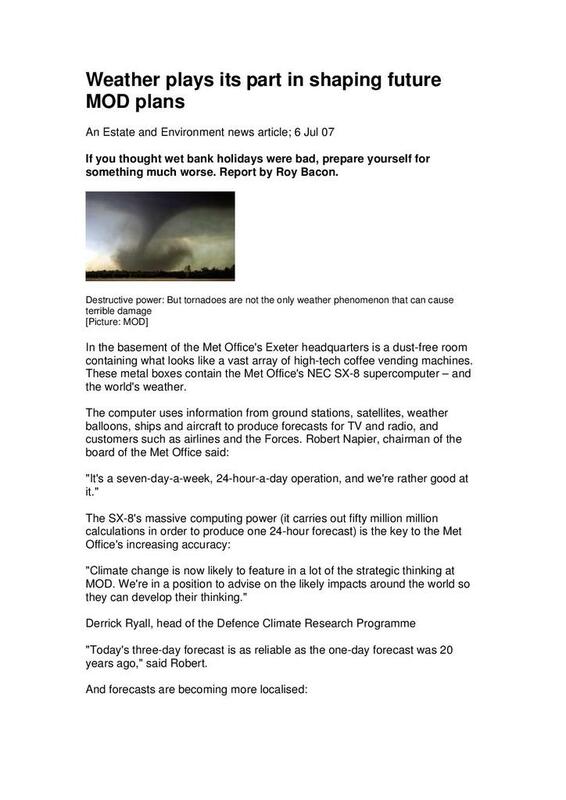 [b]Climate and MOD plans[/b] is a news article detailing how the weather plays its part in shaping the Ministry of Defence's plans.